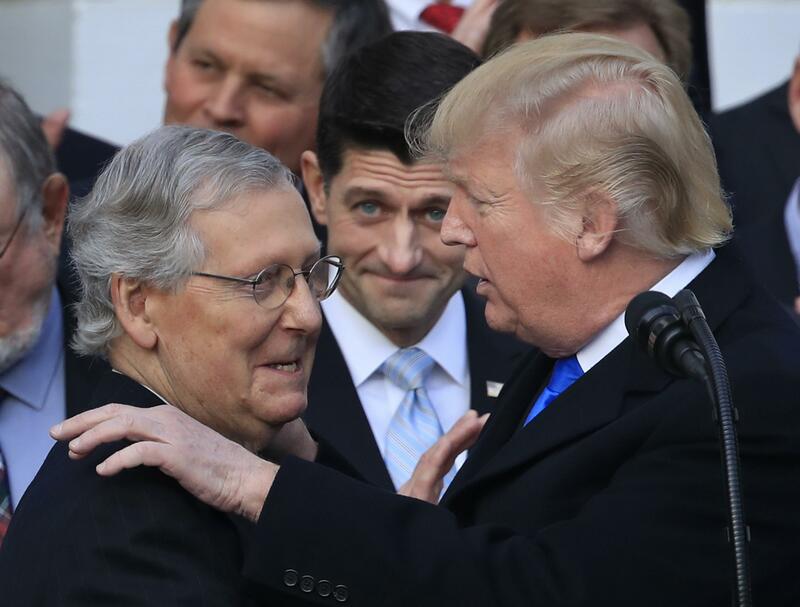 UPDATED: Wed., Dec. 27, 2017, 11:27 a.m.
WEST PALM BEACH, Fla. – Eager for more legislative achievements before Washington’s focus shifts to the midterm elections, President Donald Trump plans to open the new year by meeting with Republican congressional leaders to map out the 2018 legislative agenda, the White House said. The powwow will follow the recent enactment of legislation to cut taxes, beginning next year, for corporations and individuals at an estimated cost of $1.5 trillion added to the national debt over 10 years. The bill marked the first major legislative achievement of 2017 for Trump and congressional Republicans, who made cutting taxes a must-do this year after the Senate failed to close the deal on another top GOP promise: to repeal and replace the Obama health care law. The list includes agreeing on a spending bill by Jan. 19 to avert a partial government shutdown and to boost Pentagon spending. Lawmakers also need to agree on billions in additional aid to help hurricane victims, lifting the debt ceiling, extending a children’s health insurance program and extending protections for immigrants brought to the U.S. illegally as children. Trump tweeted earlier in the year that he was ending the program for the immigrants. He gave lawmakers until Jan. 5 to come up with a legislative solution. Much of the work will need to be done before Republicans shift their focus to the midterm elections that take place November 2018 and retaining their House and Senate majorities. Published: Dec. 27, 2017, 11:06 a.m. Updated: Dec. 27, 2017, 11:27 a.m.